FU-YAO TECHNOLOGY components D-Subminiatur connectors are dimensionally produced according to DIN 41652. For many decades this connector system is and has been used as I/O connection and as system solution within electronic devices. Nearly within every known electronic market, whether it is the industrial market, the telecommunication market or the PC market, even in the test equipment market for car manufacturers, are these products used. The design of this D-Sub connector system has been choosen as very comfortable for many different applications, which do require polarisation and protection of the contacts. This protection can be reached by the design of the metal shell. 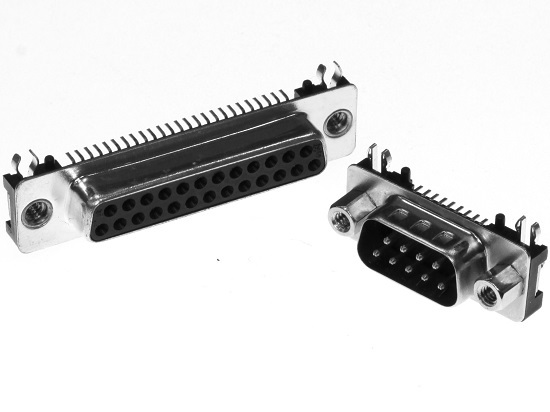 These connectors are available for more or less every well-established way of assembly, hand solder, solder wave, SMT , Crimp and IDC. Several variants are offered with Press-Fit technology. The insulator is made out of self-extinguishing material according to UL94V-0. Male- and female connectors are offered based on five shell sizes with 09, 15, 25, 37 and 50 ways. In addition to these pin counts FU-YAO TECHNOLOGY components offers 15, 26, 44 and 62 ways as High-density-series. For the contacts different platings can be choosen, always on the base of nickel plating. Whether it shall be gold or leadfree tin plating. In case of special requirements on tightness of the connection, you will find a range of IP67 protected D-Sub-miniatur connectors as well.